It starts early. If you’ve ever walked in on a 3-4 year old watching Elmo or Mr. Rogers, you know what I mean. When I was a munchkin, eating my cereal in front of the Zenith, I was memorized by Axel’s Tree-house. A Minnesota icon in the 50’s and 60’s, Axel was the beginning of every grade-schooler’s morning. Childhood crushes. We’ve all had them. 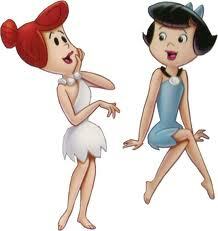 Male friends of mine actually argued over who was sexier; Betty or Wilma. I understand it. Those first introductions to the male/female relationship may have actually helped us formulate who, and what we were looking for in our future mates. For me , the crush happened in 1967. There was Joe, flying across my screen. Gun in hand, he was busy taking out the bad guys while his hair stayed perfect. Always in a sports coat and convertible, he was the man: Joe Mannix. I was 10 years old, and he had to be at in his mid to late 30’s. He was the guy who did good, even if it meant bucking the system. I remember the first season, he worked for some sort of investigative agency that had cameras in every office. He always blocked them with a coat rack, or some such thing, and then yelled about big brother. I hadn’t been introduced to Orwell yet, but I figured out what he meant. He fought the bad guy, whether they were robbing banks, or taking away basic freedoms. I fell hard for Joe. Even with the competition of Mike, Peter, Micky and (gasp) Davy, he was my first honest-to-god-real-time-oh-boy-I-can’t-wait-until-he’s-on-TV-next celebrity love. and I’ll understand this feeling. Joe was solid, stalwart, and kind. He was also constantly beat up, abused, completely disorganized, and ahead of his time by hiring a black secretary. I loved Peggy. I wanted to be Peggy. When my friends and I played Mannix (yeah, that’s right, we played Mannix) I was always Peggy. 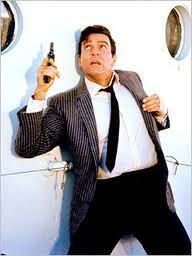 If indeed, Joe Mannix was what I was looking for in a future mate, I could have done worse. Later I would watch The Rockford Files and Hawaii 50, and though I loved these shows (especially Rockford) for some reason they couldn’t compare to my first love. Even as I reached my pre-teen age and fell for Bobby Sherman, Joe Mannix remained my favorite. I did a quick internet search and found that Mike Connors is still alive, and living in California with his wife of over 63 years. He’s 87 years old. These are two incredible feats in Hollywood, or for that matter, anywhere these days. My hats off to Mike, and all the crushes that formed our early television years, Maybe it’s because I only had three networks to watch, or maybe it’s because I was basking in some sort of mid-west innocence, but these shows were more to me than idle entertainment. There was a true and overwhelming excitement by my folks and I when we would sit down and watch the good guys fight the bad guys. After watching Walter Cronkite give us the latest body count from Vietnam, watching Joe fight a jewel smuggler was genuine joy. And for the money, it’s at least three to one in favor of Betty. Barney was a lucky man. Sometimes women like the sweet guys, what can I say about Betty. Thanks for the comment.